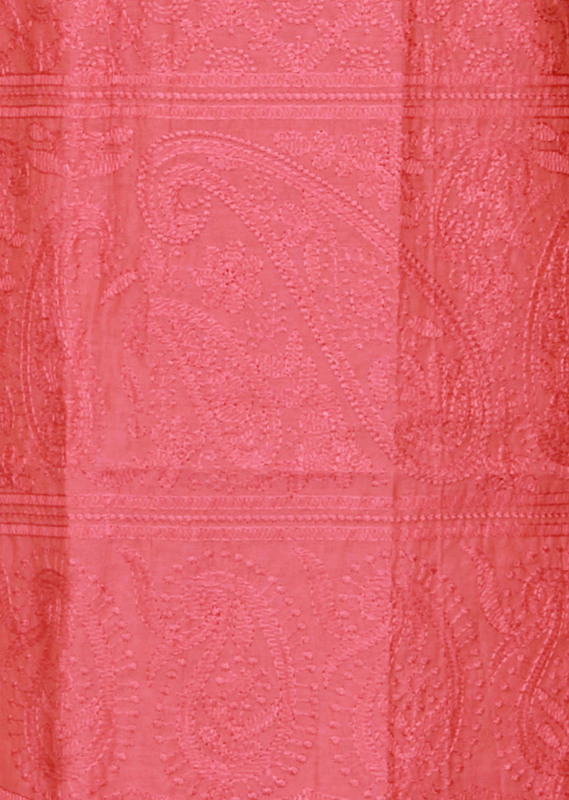 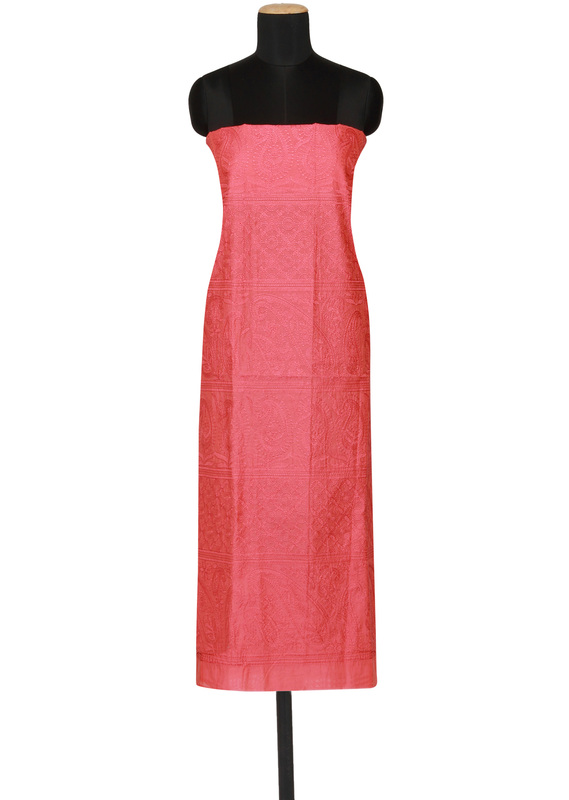 Featuring a coral chanderi silk un-stitched salwar kameez embellished in thread embroidery all over. 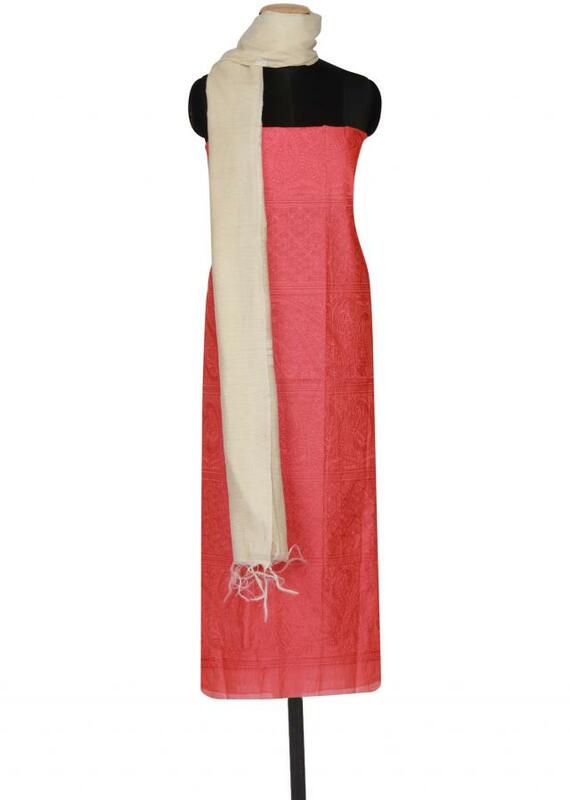 It comes with an unstitched fabric in cream santoon. 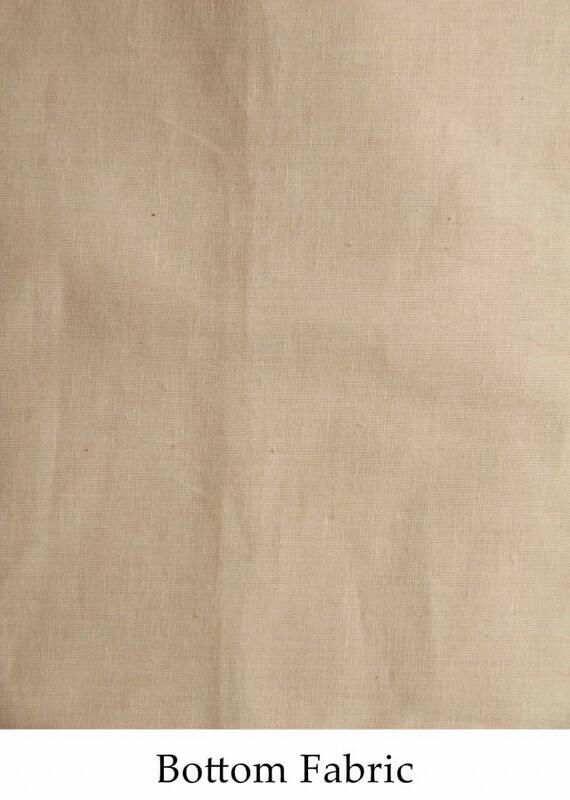 Dupatta is in cream silk.